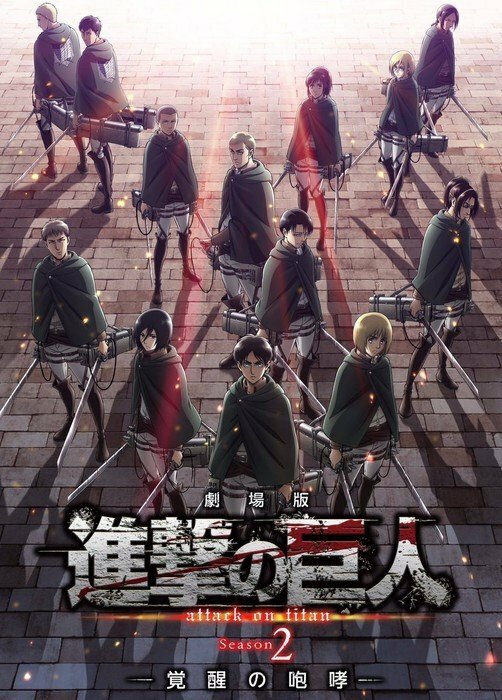 Last week, we reported that Anime Limited are planning on bringing Attack On Titan: The Roar of Awakening, a feature film recap of the hit franchise’s second season, to Glasgow Film Festival in March. Today, the distributor has elaborated on their plans for the title – revealing a limited theatrical release for Wednesday 21st February 2018. The Roar of Awakening recounts events from the show’s second season, which sees new threats and a fresh Titan invasion test the members of the Survey Corps to their limits. With incredible action and shocking revelations aplenty, there’s no better way to witness the continuation of Attack on Titan’s dark and mysterious story. Any additional screenings will be added when/if they are confirmed. Viewings at Showcase cinemas can be booked here. Attack On Titan: The Roar of Awakening is the third theatrical recap of the incredibly popular dark fantasy franchise. The previous two, which retold the events of Season 1, remain unreleased in the United Kingdom. Anime Limited are set to screen the Attack On Titan: The Roar of Awakening anime recap film at Glasgow Film Festival, according to the event’s website!